The Pork Lard Spread is called Schweineschmalz in Germany. 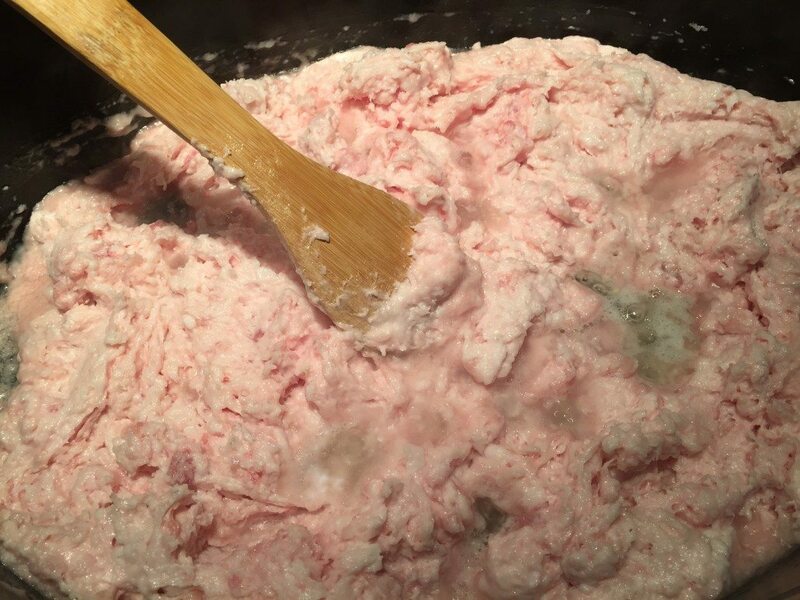 Use the pork lard spread for cooking and baking or enrich it with apples and onions and spread it on your bread. When the lard spread is spiced up with salt and pepper it tastes so good. The pork lard is a great edition to you Mardi Gras Party. 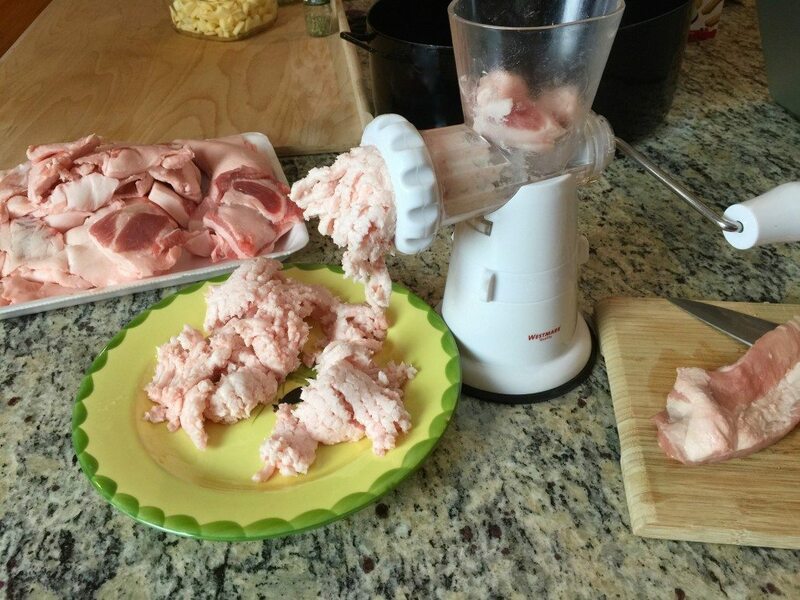 Cut your belly fat in pieces and press them through a meat grinder. Dice the onions in a food chopper or cut them by hand with a knife. Cut the apples into small slices. 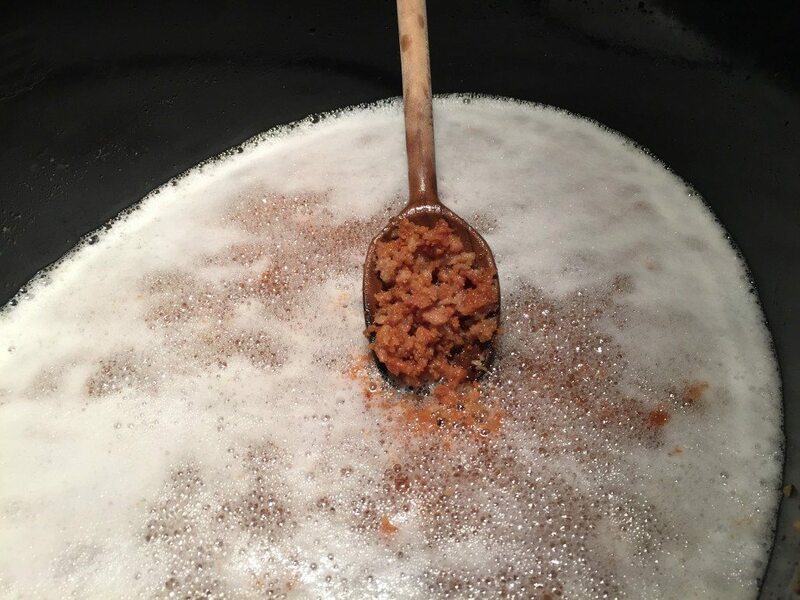 Place the ground fat in a large pan. 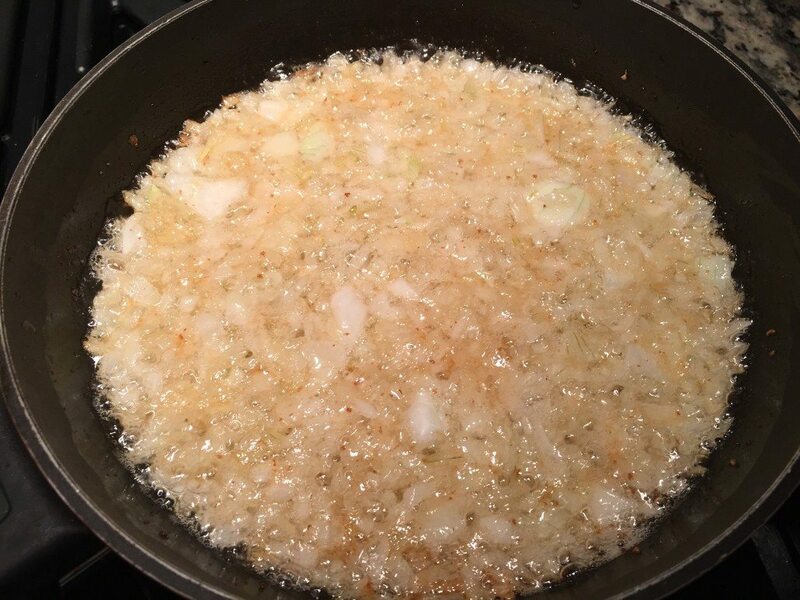 Turn on the heat on your stovetop to about medium and slowly fry the fat while stirring it from time to time, so that it does not stick to the frying pan and burn. Once the fat has melted and oil is building up, you can turn the heat up a little. 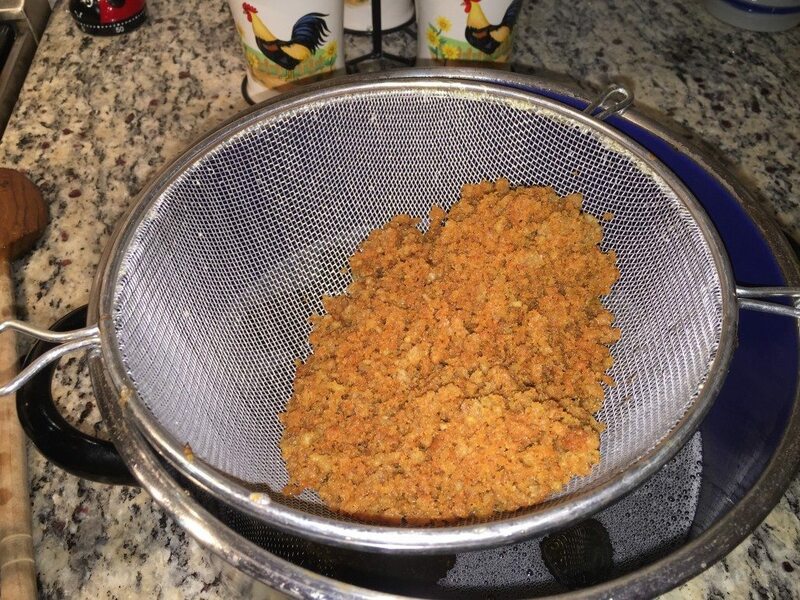 When all the fat is melted, pass it through a metal sieve (metal strainer) to strain out the greaves. 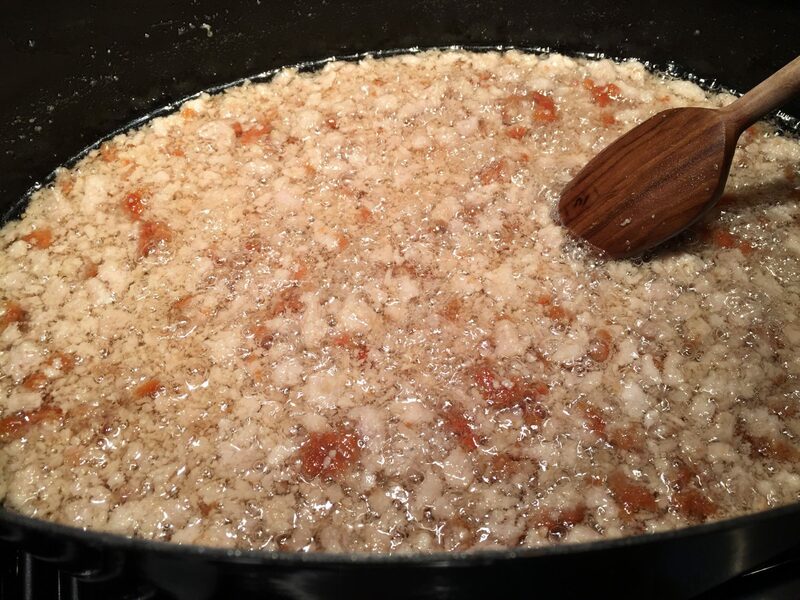 Use some of the melted pork fat to sauté the onions until they are transparent. 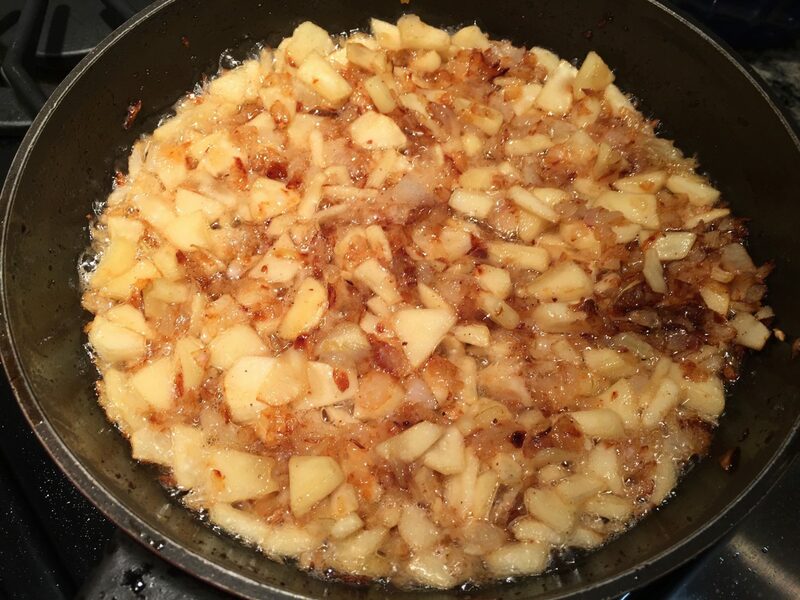 Add the apples and fry for about 5 more minutes. At this point, you have four choices on how to finish your pork lard. Your first choice is to let the melted fat harden in the refrigerator and save it for cooking. The second option is to make a spread; you return the grieves to the melted fat and adding marjoram. Just pour the fat into a ceramic bowl and store it in the refrigerator for hardening. Your third choice is to make another spread by putting the greaves back into the melted fat, add the onion/apple mix, and add the marjoram. Pour it into a ceramic bowl and place it in the refrigerator to harden. Finally, and this is my favorite; my favorite, leave the greaves out of the melted sieved fat and just add the onion/apple mix along with the marjoram and pour it into a ceramic bowl. Keep it in the refrigerator to harden. All these spreads taste good on fresh-baked bread with a little salt and pepper. If you like, add some sliced pickles on top. Enjoy!